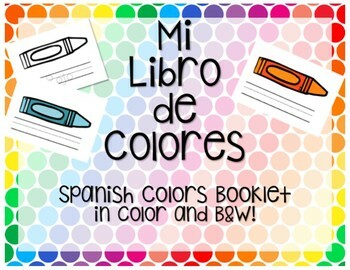 This book is the perfect product to teach the Spanish color words to your students! 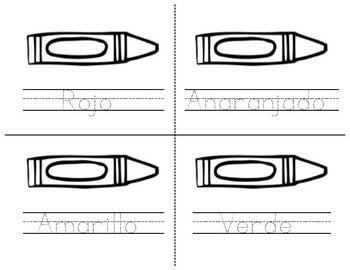 Two versions, color and b&w, are included with your purchase, so there are two ways this product can be used. 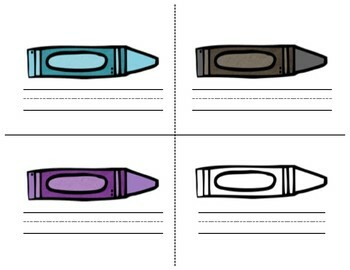 B&W: Students trace the color word, and then color the crayon the color that the word indicates. 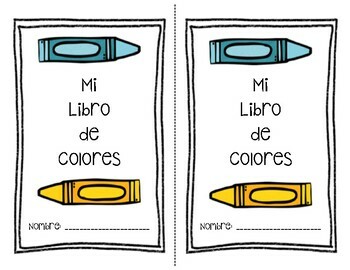 COLOR: Students look at the color of the crayons, then write the Spanish word for that color in the blank. If you like this product, be sure to leave a review and a comment letting me know how you used it in your classroom! I would love to hear from you!